For such tiny little pests, it’s shocking how much damage termites can do! But the truth is, the little bugs can cause many thousands of dollars in damage to your home. Given enough time to munch away on your house, they can even undermine your home’s structural integrity. If you suspect you have termites, please call us immediately. The longer you wait, the more damage the termites will do. Termites are not known for going away on their own. You must take action! 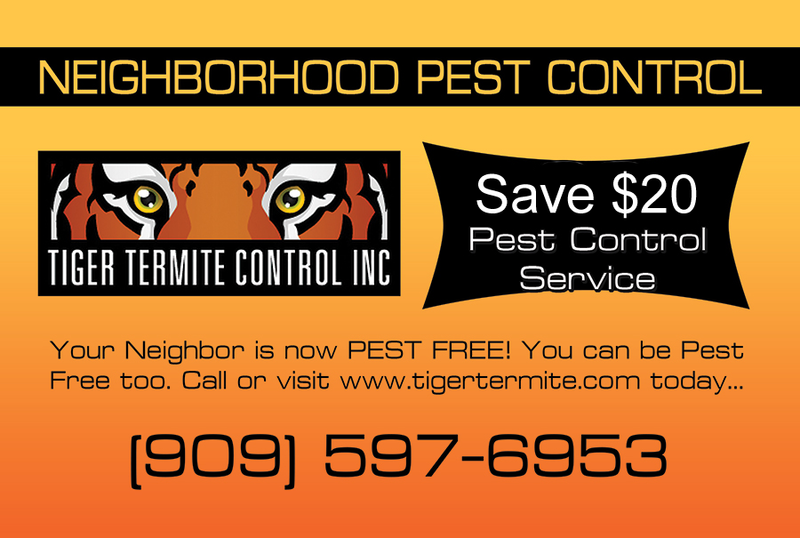 As our name implies, Tiger Termite Control Inc. specializes in termite control. We’re a family-owned and operated company with over 25 years of experience. Let us give you the peace of mind that comes with complete and lasting freedom from Drywood or Subterranean termites and the damage they cause. We don’t just postpone the problem – we stop it at its source using proven termite extermination methods that work. If you’ve got termites flying around your house, you see what looks like termite damage, or you’ve noticed the little piles of tiny pellets that termites leave behind, give us a call. One of our trained termite experts will come out to your home at absolutely no charge to provide an evaluation and consultation. With Tiger Termite, non-escrow inspections are always free! Restrictions apply. Call for details. You don’t have to battle all of those bugs! Call us at (909) 597-6953 today for a free evaluation and consultation. You’ll get an understanding of the problem and learn what options are best for your particular needs and budget.